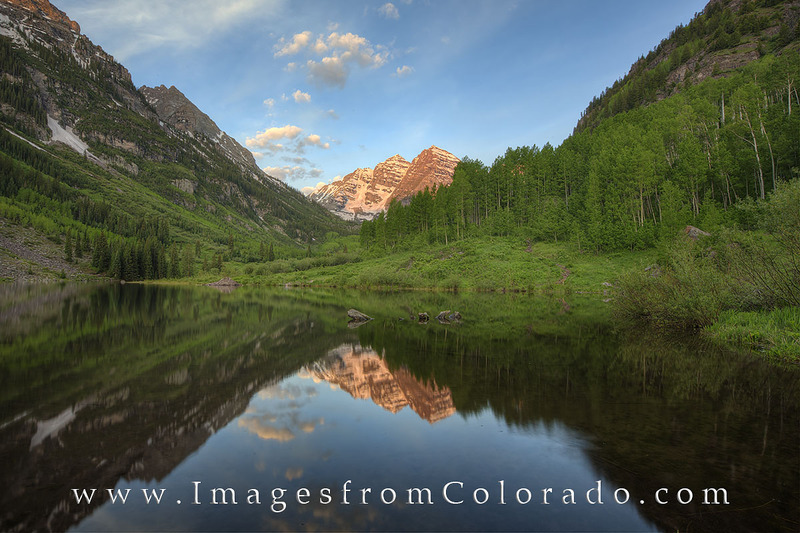 Maroon Lake is still as glass, and the reflections of the Maroon Bells, two of Colorado’s 14,000’ summits, shines clearly on the still water. Mornings like this are why I awaken early – to enjoy the solitude of a peaceful morning in one of the state’s most beautiful settings. Photo © copyright by Rob Greebon.